The ‘Gwangju job project’, which the Moon Jae-in administration has pursued with the aim of creating jobs and tackling unemployment, is now in full swing. Its impact on the domestic automobile industry is being watched with keen interest. The job project is significant in that it is the first job creating model based on a win-win relationship between labor and management. However, there are concerns that it could create a downturn in the domestic market that is already saturated with an annual supply of 100,000 new cars. 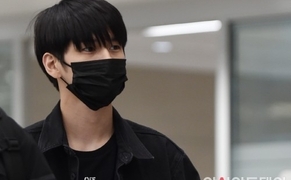 In addition, strong opposition from the Korean Confederation of Trade Unions (KCTU) and the lack of investment are among the tasks to be solved. 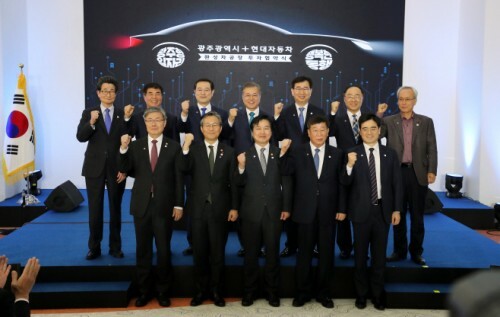 Hyundai Motor Group and the city government of Gwangju on Thursday signed an agreement on their joint investment deal aimed to promote the regional economy and sustainable job creation. It marks the first car-making joint venture between a domestic automaker and a local government. Under the investment agreement, the local government and Hyundai Motor Group will jointly raise up to 700 billion won (US$629 million) to build a new manufacturing facility. The local government will invest 59 billion won (US$53 million) for a 21 percent share, while Hyundai Motor will pay 53 billion won (US$48 million) for a 19 percent share. The local government will seek to raise the remaining 60 percent from investments by local communities, public institutions and other investors. Hyundai Motor expects the plant will go into operation in 2021. The country’s largest automaker will participate in the joint venture as a non-management investor and will develop mini SUVs with engine capacity of less than 1,000 cc. It will consign production to the newly established manufacturing facility, and will be in charge of technical support and sales. Gwangju will provide subsidies and tax benefits to stabilize the newly established facility. But many challenges remain. The domestic market is becoming increasingly saturated and it is unclear whether the mini SUVs will succeed in the market. In fact, Hyundai Motor plans to produce 100,000 units of compact SUVs annually at its three plans in Ulsan from the first half of the year. Considering the fact that 138,895 units of compact SUVs were sold last year, the new production could interfere the sales of the carmaker. The project also faces labor backlash. The five-year wage suspension clause of the agreement remains controversial, and the details of how to improve the relations between prime and subcontractors are left undecided. In particular, Hyundai Motor’s union decided to stage a strike on Thursday, strongly opposing the agreement. “It will not be easy to break the structure of high spending and low productivity and to raise funds for the Gwangju job project,” said Kim Pil-soo, a professor at Daelim University.